These days, the power of paid search advertising (also known as pay-per-click) is no secret. 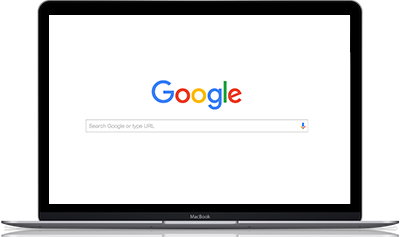 According to a Forrester Research company known as Jupiter Research, 81% of users find their desired destination through a search engine. So there’s no doubt about the wide usage of search engines. What may not be widely known is the level of complexity that goes into building, managing, and pulling success from a paid search campaign. Bid on the right keywords so your company shows up in a noticeable spot on the first results page of search engines like Google and Bing. But there are so many intricacies that go into paid search, intricacies often overlooked due to the tunnel vision sort of focus put on more obvious parts like budget and keywords. Don’t get me wrong. Budget and keywords are big factors and there’s more depth even within those two than can be grasped without the proper expertise. But to say that’s all there is to paid search is to miss out on what makes it unique to the individual company and properly suited to each company’s specific needs. Finding keywords that bring in leads takes a good amount of research, i.e. what terms your specific audience uses when they search, what general keywords work best in conjunction with specific keywords, what keywords are worth paying more for, etc. Once keywords have been set, you still have to monitor your campaign to see how those keywords are performing so you learn what to eliminate. Speaking of elimination, research on what keywords to exclude (negative keywords) to narrow down unwanted traffic plays a big part in ensuring you’re getting the right attention. Negative keywords help you eliminate what you don’t want to bid on. For example, the word “felonies” would be a good negative keyword for a company that doesn’t want to hire drivers with felonies. It helps to build a list of negative keywords over time for the industry you’re catering to and refer to it when building new campaigns. The monitoring and management of your bids (bid strategy) involves a lot of intricacies that make your campaign unique. Tailoring a bid strategy begins with knowing your goal. Are you trying to get a driver to apply? What type of driver? In what locations? All these details go into planning what elements will be needed for your bid strategy. Also knowing how competitive the market is plays a big part. It can help you decide on budget and with scheduling ads. What time of day is the competition low? You’ll want to include those times in your campaign. Whether using an automated bid strategy or a manual bid strategy, having someone with both experience with the platforms used to build paid search campaigns (e.g. Google Adwords) and expertise on which combination of elements produce your desired results makes all the difference. Two huge factors here are quality score and bid. Your quality score is how the search engine rates the quality and relevance of a combination of elements from your campaign (i.e. click-through-rate, landing page experience, and ad relevance etc.). It plays a big part in where you rank on a search engine results page (SERP). Many may think the highest bid wins the auction every time, and it does win often, but for those with a limited budget, all hope isn’t lost. It’s possible to win over the highest bidder by having a higher quality score. Negative keywords are a great way to eliminate unwanted traffic and reach users actively looking for you. This requires good keyword research that tells you how the keyword you want to use are performing even before you starting using them. Have your keywords in your URL, ad messaging, landing page, etc. so that users know they’re in the right place. These allows for a more targeted search experience for a user, increasing their chances of clicking. Create landing pages that are concise, easy to understand, mobile-friendly, and are frictionless for a user. The first step here is having someone who knows how to read the data. The data your campaign produces provides valuable information like how your campaign is performing, what’s working and what’s not, how often should you make changes, and being able to recognize changes in the market. Data analysis is key to improving on your campaigns. An ideal scenario is to outsource to a company familiar with how paid search works with your specific industry or that has access to capabilities you may not. For example, Randall-Reilly gets to test some of Google’s new capabilities before they’re released to the general public due to their Google Partnership. One of those capabilities is tracking all the way down to the keyword that led to a call lead. Such information makes it clear what’s working and allows you to improve your campaigns. It’s a mistake to assume that creating a successful paid search campaign is a simple process that manages itself. It takes being knowledgeable about the process, experience with the technology and platforms involved, and time devoted to proper management. Also, search engines are always evolving. To keep up, it may not be enough to try to tackle it alone. Work with someone who specializes in paid search advertising to get the best out of your campaigns.